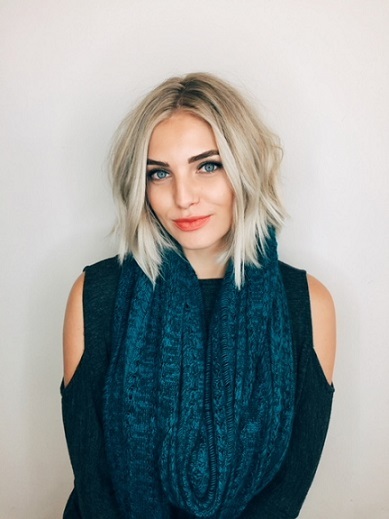 As I’m sure you know by now, this week’s podcast was a little different as we recorded it live this past Tuesday night at the Addison Improv here in Dallas and our special guest was Olivia Caridi. She of “Bachelor” fame and now with the very popular “Mouthing Off” podcast. Again thank you to everyone who came out this past Tuesday night, I hope you all enjoyed it. I think this is something that we can do a few times a year as I will try to make my way to different cities in the United States. It’ll all depend on scheduling and what guest I can get to come out in those cities. Because, you know, there are some people who might be a tad afraid of me out there for God knows what reason. But after the New Year, I’ll begin looking in to potential guests and locations for upcoming live tapings of podcasts. Anyway, as I expected Olivia was great. When I went on her podcast 6 months ago, I knew she was someone I could easily talk to and it just took some convincing of her podcasting outlet to let her do this, and I’m glad they did. I always enjoy the talks I have with her both on and off the air and she’s definitely someone I consider a friend in this franchise, which I don’t throw around too often. As always, if you want to respond to the interview, please include Olivia’s Twitter handle (@OliviaCaridi) in your replies so she can see them. (SPOILERS) Olivia joins me to talk about how she got cast, having the target on her back immediately (3:25), being an introvert & how it didn’t mix well with this show (4:44), the editing of her “character” (6:55), being the villain (10:57), her Teen Mom comment to Amanda being blown out of proportion (18:22), getting dumped on the 2-on-1 (21:04), the bullying she got post show & her move to New York at the time (23:27), her “Mouthing Off” podcast (32:56), her parents getting married on GMA in the 90’s (34:00), having Rachel on her podcast this week (41:40), questions from readers (47:00), the Final 10 (55:20), and we end it by taking questions from the audience (1:12:33). That was a really fun podcast. I wish Steve could have filmed it so we could have seen it. Olivia is hilarious and such an engaging & honest woman. I hope she has all the success she could hope for. We need more Olivia! She needs to be a host on E news or Access Hollywood/Entertainment Tonight…something with a bigger platform than her podcast, which is also really fun! She’s great at interviewing and being interviewed. Love her speaking voice and gives off a down-to-earth, every-girl vibe!